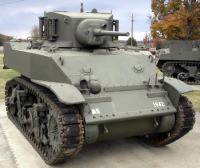 El M5 Stuart empezó a producirse en abril de 1942, con 10 884 vehículos en dos variaciones que se fabricaron a lo largo de junio de 1944. Este tanque participó en combate en todos los teatros. 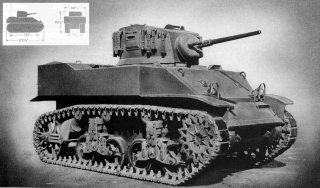 At first, the M5 Stuart appears to be a minor downgrade from the M3 Stuart, with slightly worse armor and lower speed for more hit points. 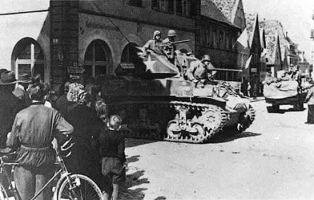 The biggest difference is the ability to equip the fearsome 75mm Howitzer M3. The M5's excellent speed and agility can be used to expose the thin rear and side armor of your opponents for maximum effect. Be warned though, its accuracy is poor, so come in fast, get close, and then get out of there. You can always come around for another pass from a different angle. Excellent damage output with the 75mm howitzer if HEAT ammo is used. 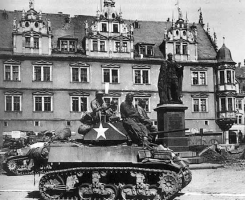 75mm Howitzer has excellent gun elevation, comparable to artillery, as well as great gun depression. Due to its battle tier placement, this tank is relegated to a scouting role. However, it can do more than just scout; its 75mm howitzer can do significant damage to the thinner armor of enemy tanks. This tank is not completely defenseless, but it cannot stand against enemy fire, harass the enemy with hit and run tactics. This tank can win in a dogfight with pretty much any other tier 4 light, destroy almost any arty it will come up against, and seriously annoy anything else. If you can force the enemy's attention away from allies, their jobs will be much easier and you will have greatly contributed to team victory. 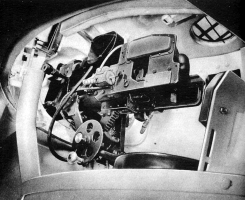 The 37 mm Gun M6, Continental R-975-C1 engine, and SCR 506 radio carry over from the M3 Stuart. All of them can be installed immediately. The 75 mm Howitzer M3 (requires the second turret) will already be unlocked if you played the M2 Medium Tank prior to this tank. First research the second turret.